I’ve been a big fan of his work for the last several years. 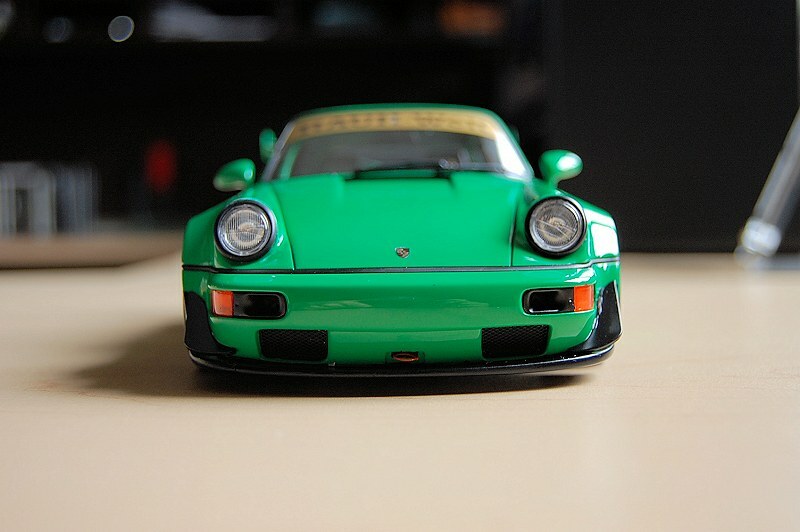 I always wondered why his cars weren’t replicated in scale and pleaded on DiecastSoceity.com, and various other media vehicles for someone to produce these legendary monsters. 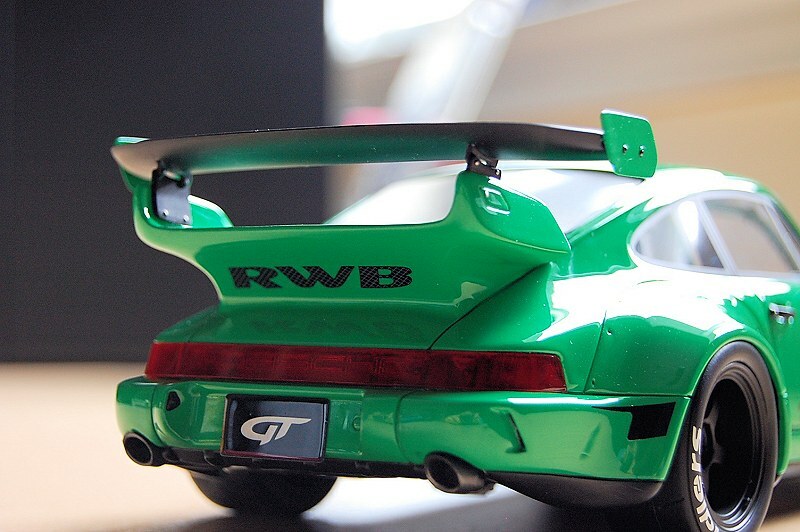 Well someone did, the first mass produced scale model was offered by GT Spirit in early 2016. 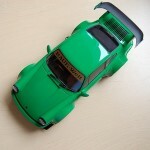 They released the Red RWB 964 Porsche to great fanfare! 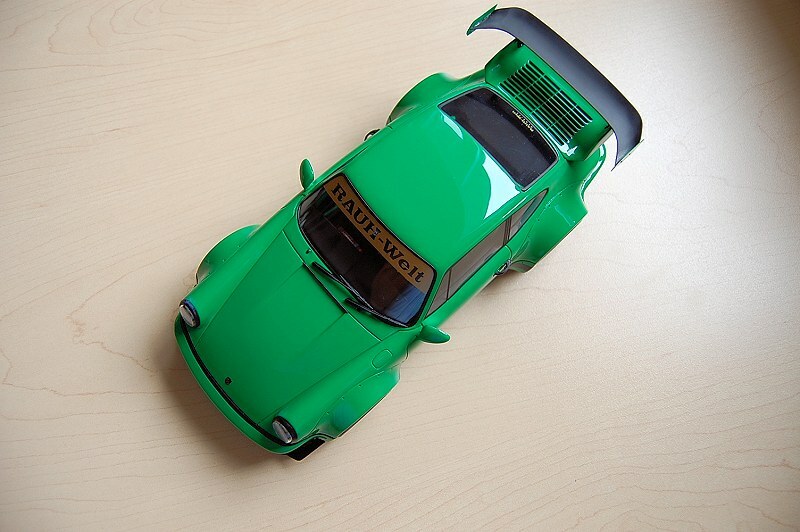 A few short weeks ago a special, limited edition of 504 pieces RWB 964 Green was released by CK Modelcars, LittleBolide, and Modelissimo. Well, I jumped on it! And glad I did!! First of I’ve seen the green exterior referred to “Kermit” in conversation. THIS HAS TO STOP NOW! 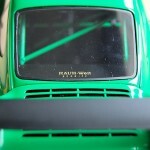 Moving forward it must be associated with the ultimate monster the HULK, this car delivers no less! 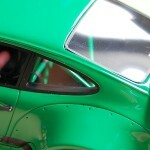 The exterior paint is flawless in execution, as I refer to it, liquid glass. 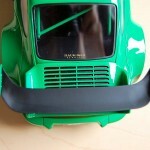 Shutlines lines and panel gaps are no issue as the model is manufactured in resin, with no opening bits. 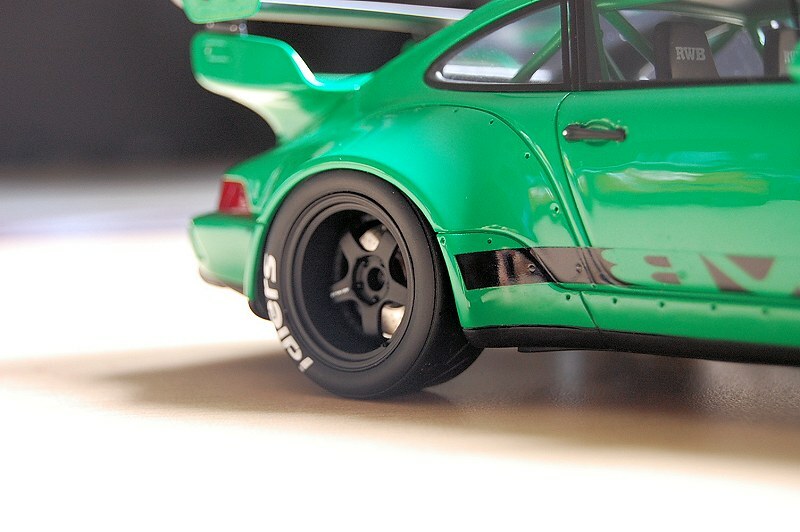 Stance is deserving of a RWB car, and body lines seem to capture the original 964 lines nicely. 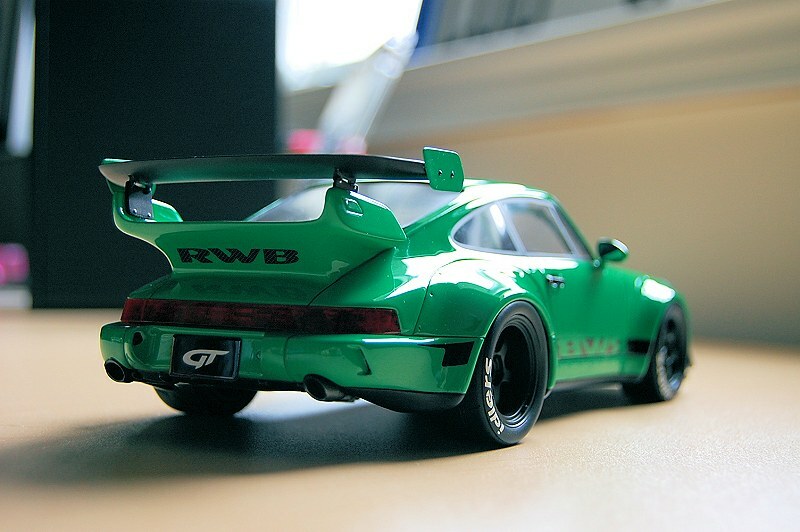 RWB cars claim to fame is the addition of the wide fenders, fins, large spoilers, and what not. 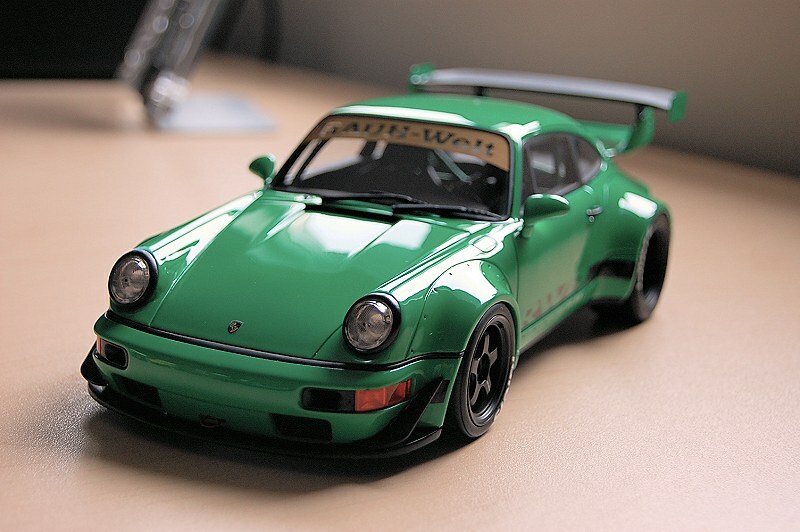 It might be over the top to a Porsche purist, I think its fresh and nothing less than stunning! 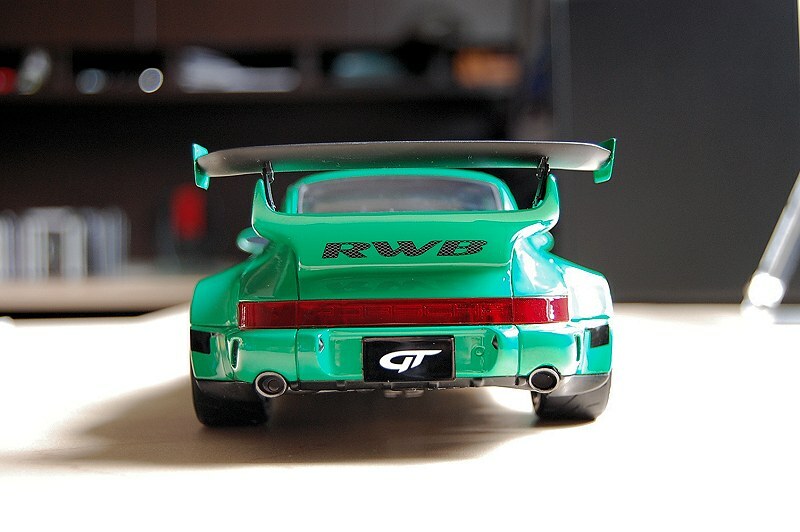 GT Spirit has captured the essence of RWB in their design. 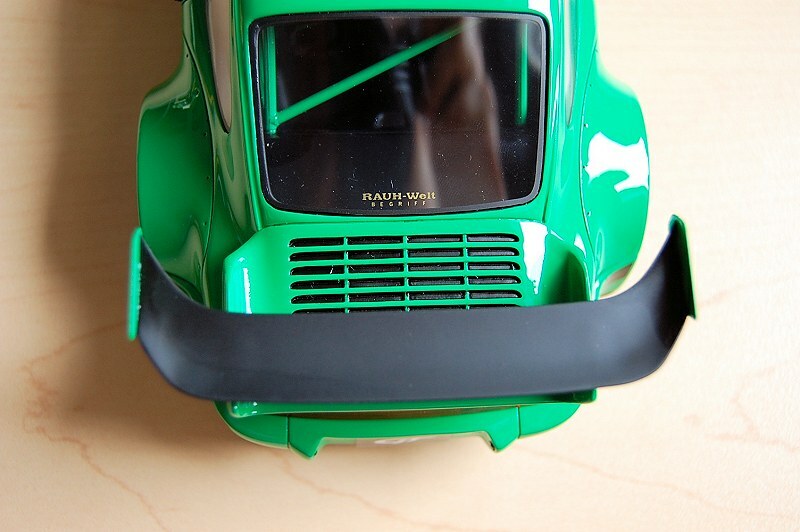 The front fascia is executed nicely, though I found the finish work a little suspect on the lower chin spoiler, attention to quality control is lacking. 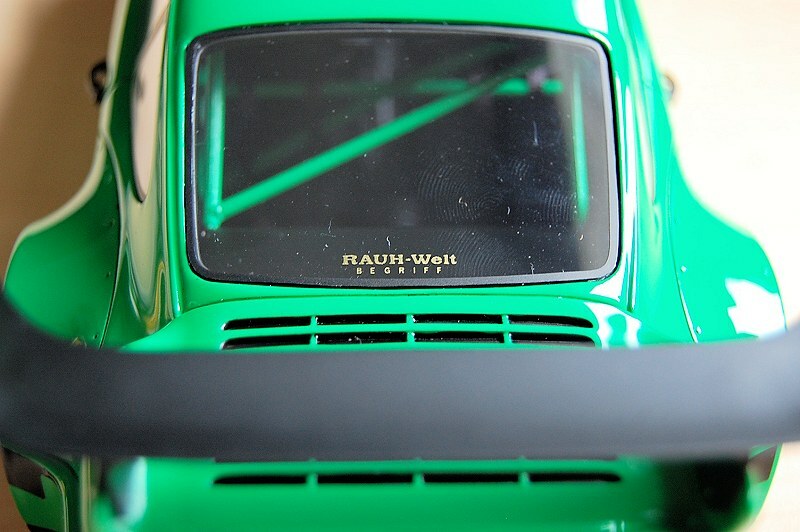 Front windshield features the “RAUH-Welt” decal. That is nicely applied. 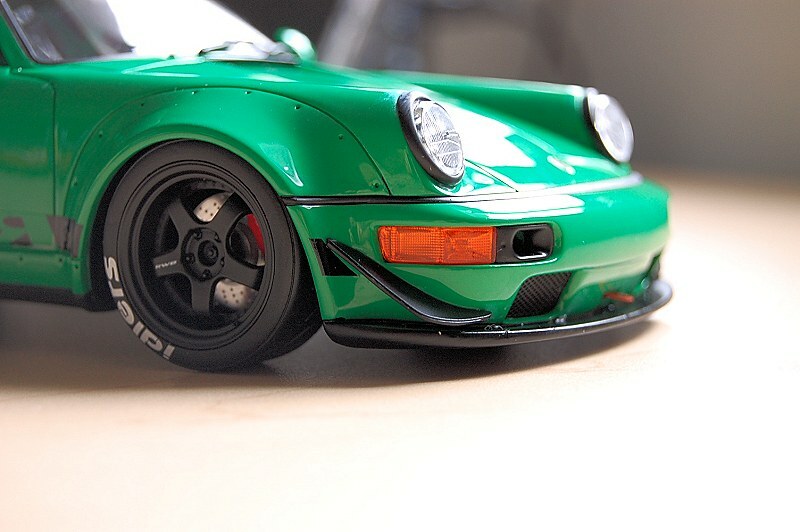 The rear is much like the front. 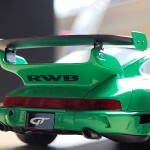 The large RWB decal sits well under the massive rear wing. 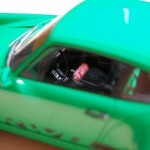 The biggest miss on the model is the bulky windshield wipers. 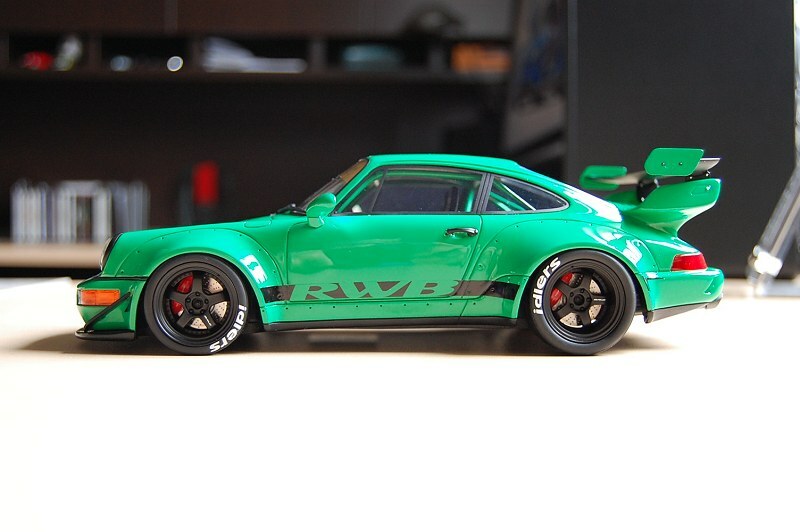 That being said I’m quite content with the model overall. 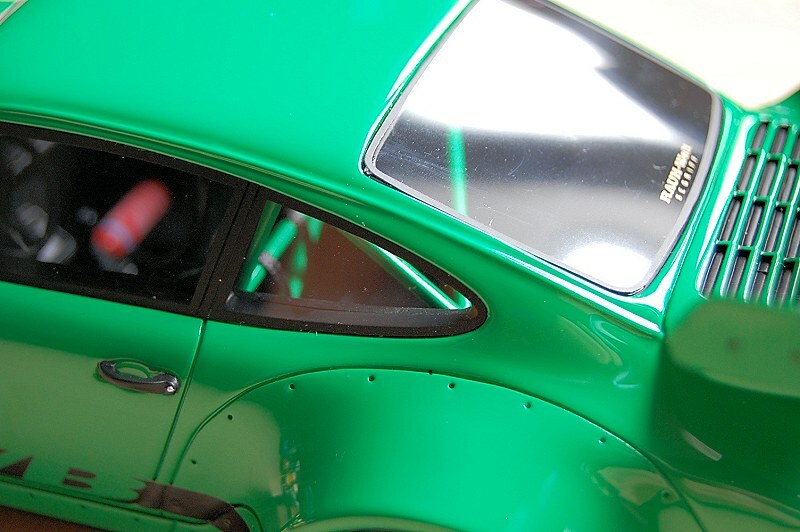 It is striking from every angle! 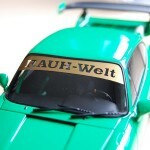 The glass also features the small ‘RAUH-Welt Begriff’ decal. Wheel execution is very good. Checkout the dish on the rear! 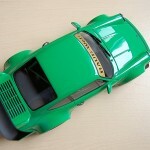 Great story behind the initial design, GT Spirit posted early pre-production images of the model (Red 964). 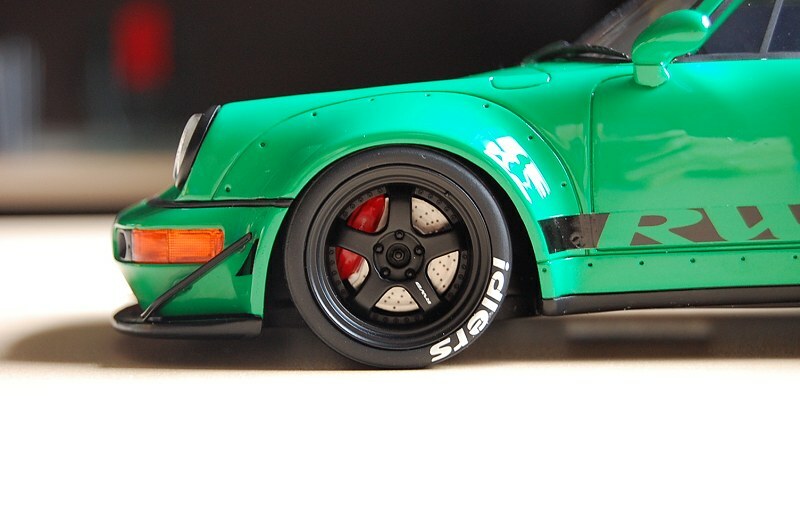 I and others commented the wheels required more depth; they listened and made the change! That is listening to your audience folks!! 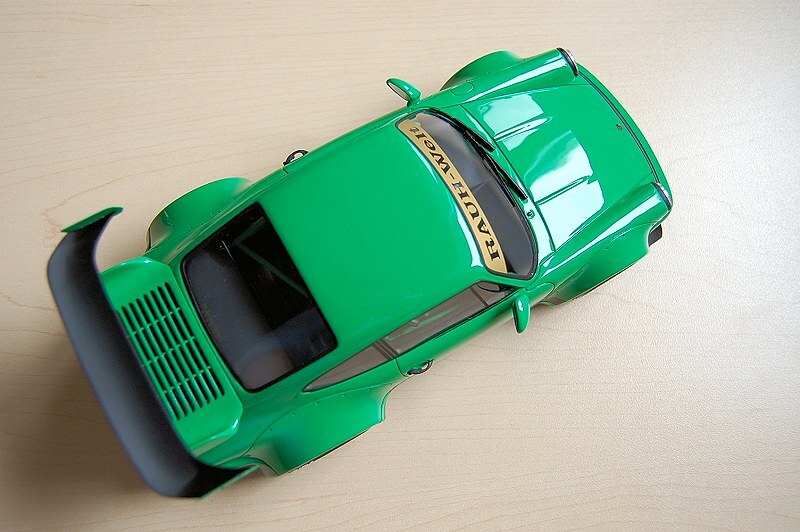 Inside the interior is typical 964 of the period more of less. 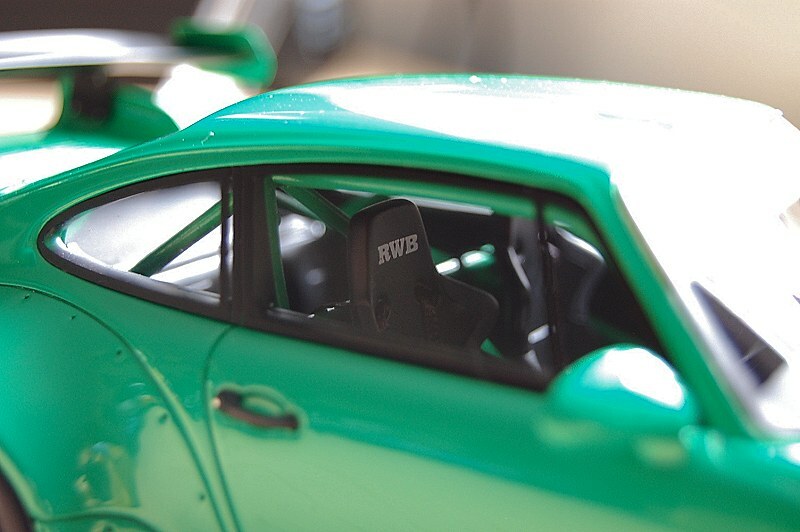 RWB enhancements include gutting the rear interior bits, racing seats with RWB logo in-check, racing harness, and roll-cage. All looks to form. 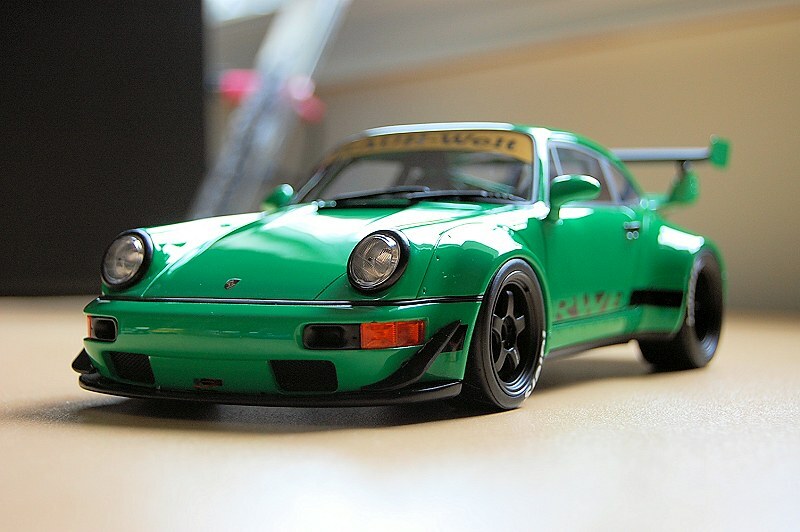 I have to admit I love this car! The colour, the design, the execution equals passion! 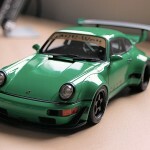 There aren’t many cars they come to market these days that excites me more. 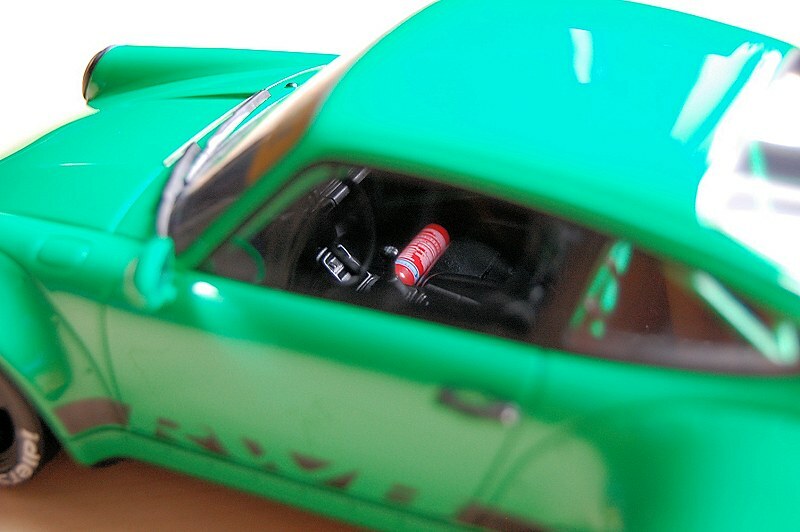 If you can get your hands one or one of the red I highly recommend this little piece of car culture. 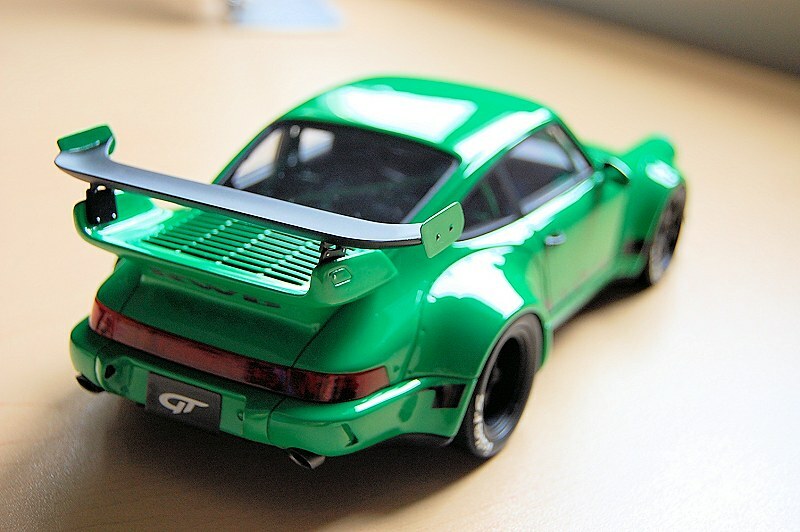 GT Spirit once again understands their customer base and continues to offer an attractive package for less than 100 Euro (well it was released at 99.95 Euro LOL). Thank you making one of my dream cars come true. 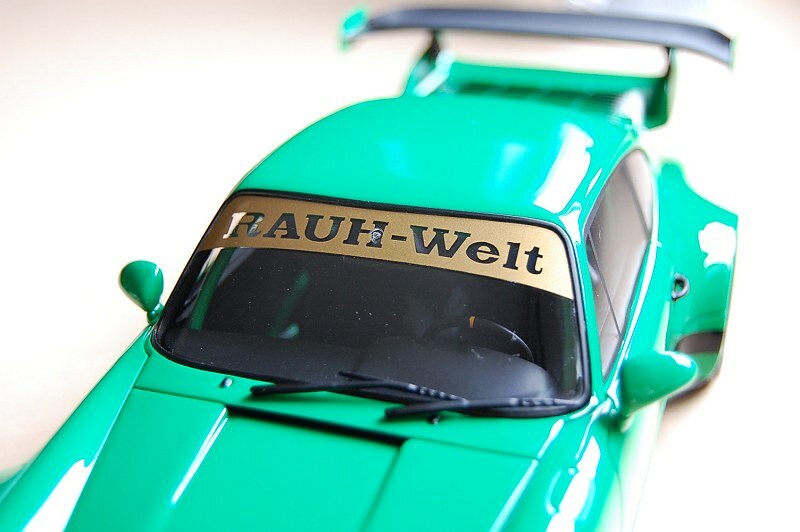 I’m looking forward to more RAUH-Welt Begriff creations in the near future. Enjoy the pics! 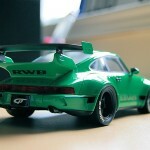 1 Response to "REVIEW: GT Spirit RAUH-Welt Begriff (RWB) Porsche 964"